Dr. Stephanie TerMaath is an Assistant Professor in the Department of Mechanical, Aerospace, and Biomedical Engineering at the University of Tennessee, Knoxville and an affiliated faculty member of the Joint Institute for Computational Sciences. Before joining the faculty in the Fall of 2012, she managed the Physics-Based Computing group at Applied Research Associates (ARA). She previously held positions at Boeing Phantom Works and Lockheed Martin Aeronautics. 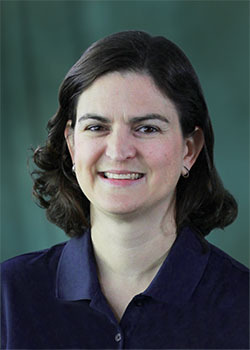 Her diverse technical background encompasses theoretical, computational, and experimental research, including advanced finite element analysis, structural mechanics, fracture mechanics, and material properties characterization.